Information on parking options available to Roxborough residents and business owners. Parking permits are available for purchase at the Roxborough Development Corporation (RDC) office, 6120 Ridge Avenue, which is open Monday through Friday from 10:00 a.m. to 6:00 p.m. All parking pass purchases require current vehicle registration, proof of insurance as well as the completion of a parking permit application. These parking permits and newly established hours will enable shoppers, residents and business owners to secure convenient and safe parking options while enabling the RDC to properly maintain the lots for future commercial and residential parking use. If you have any questions or are interested in purchasing a pass please do not hesitate to contact our office at 215-508-2358 or email info@roxboroughpa.com. 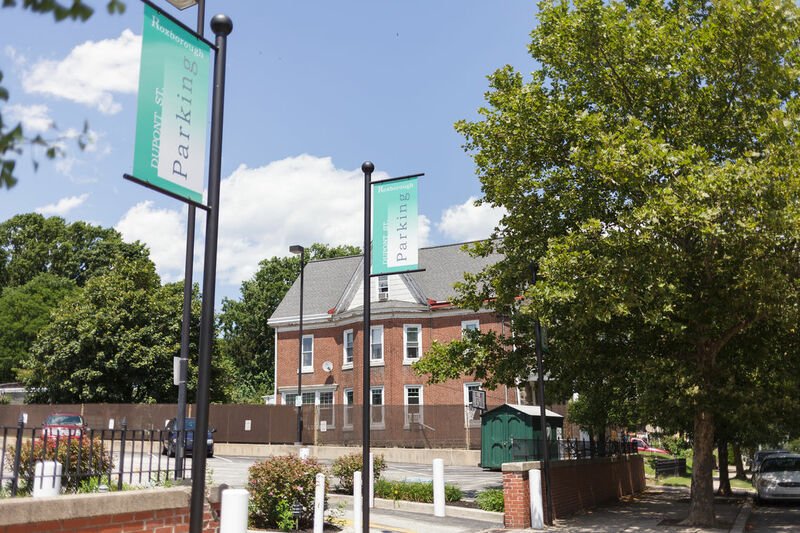 The Roxborough Development Corporation (RDC) has assumed responsibility to manage and maintain both the Dupont Street Shoppers' Parking Lot at 514 Dupont Street and the Leverington Avenue Shoppers' Parking Lot at 465 Leverington Avenue from the City of Philadelphia’s Department of Public Property (DPP). As part of this responsibility and for the lots to remain as parking lots for area businesses and residents, the owner, DPP, is requiring the RDC to pay all maintenance and operating costs for both lots. These costs include routine cleaning, electrical service, landscaping, real estate taxes, insurance, repairs, and improvements as well as snow removal.